E30 Bi-Xenon Kits? 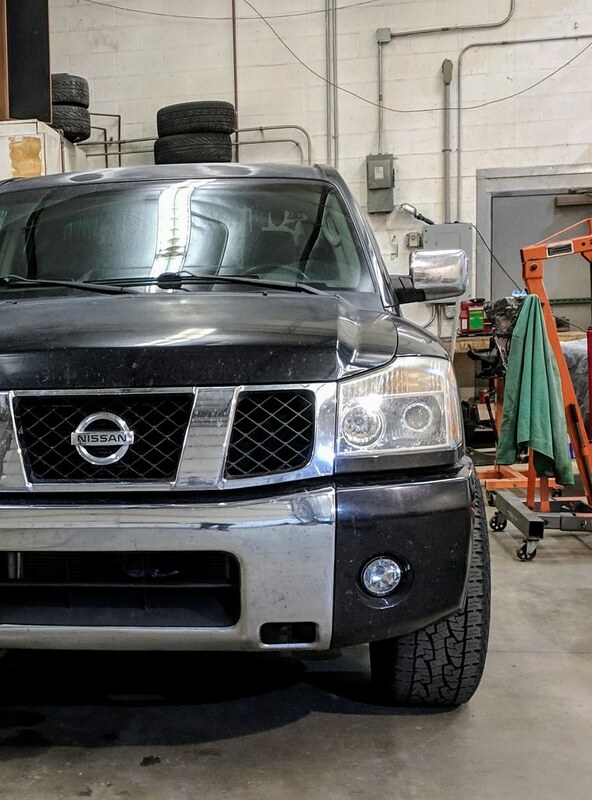 Headlight upgrades? Looking at attaining parts and upgrade while the 325ix is in storage. 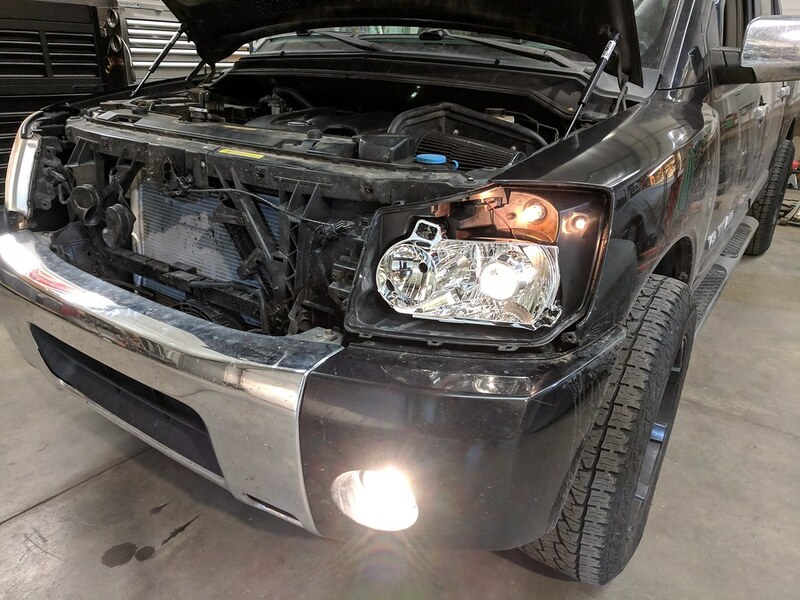 Been looking at headlight upgrades from the stock offerings (admittedly I don't know really anything about headlights and really just started looking in earnest a couple days ago). I know I want to upgrade and Bi-Xenon looks like the top dog but building from scratch and sourcing parts seems to be above my head I could splice some wires and connectors but alone that's about what I'd be comfortable with. I did see a Bi-Xenon kit that was offered on r3vlimited a couple years ago but the thread is dead https://www.r3vlimited.com/board/showthread.php?t=340586 are there any other kits out there for this? 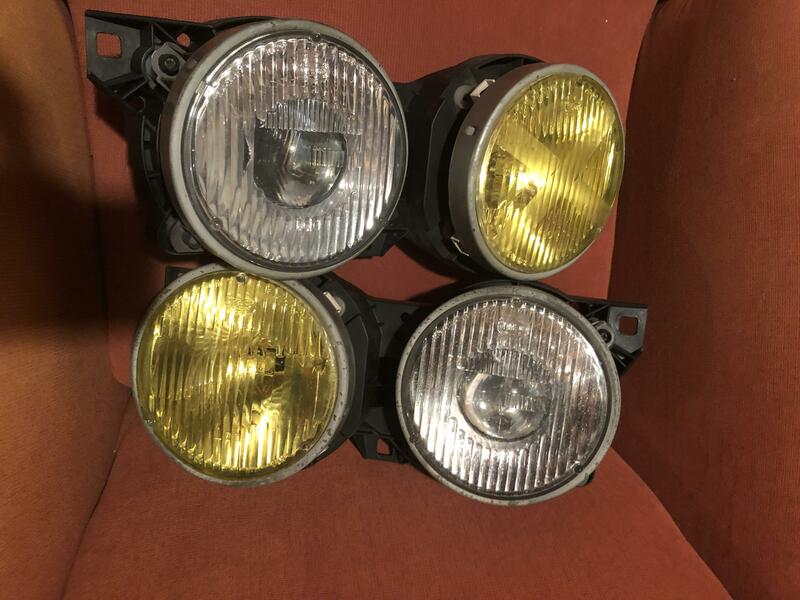 Another option I came across was these Euro Smileys https://www.ecstuning.com/b-depo-parts/euro-smiley-smoked-crosshair-projector-headlight-set/hlb3e30echsmk~de/ which seem like an upgrade but like I said before I don't know if its worth the cost or Bi-Xenon (or something else is better use of the money)? there are no off-the-shelf bixenon options for an e30. due to the headlight bucket design, you'll have to build from scratch as you mentioned. 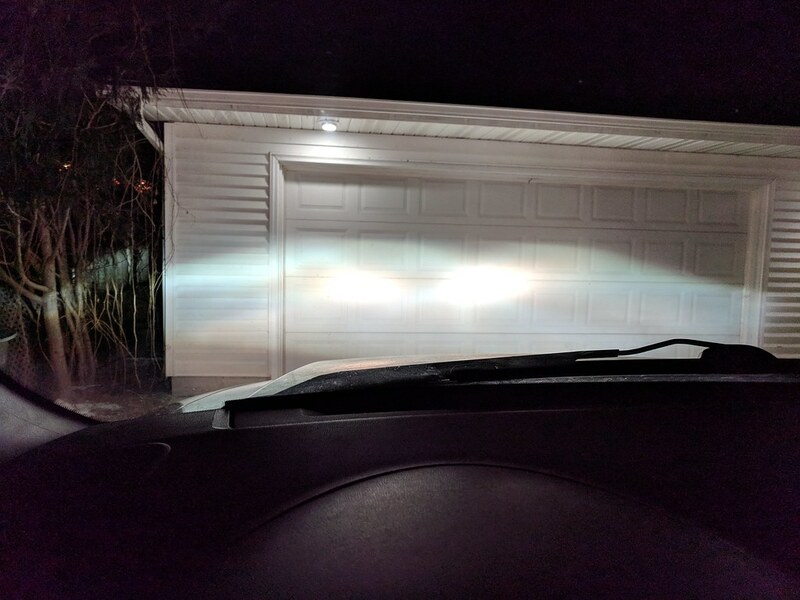 DEPO brand lights, like your ecstuning link shows, are garbage for light output. the stock headlights are better. the best plug-and-play upgrade is to find real Hella or Bosch Euro headlights and install HID bulbs into them. the cheapest route is HID bulbs in the U.S. ellipsoids you may already have in the car. 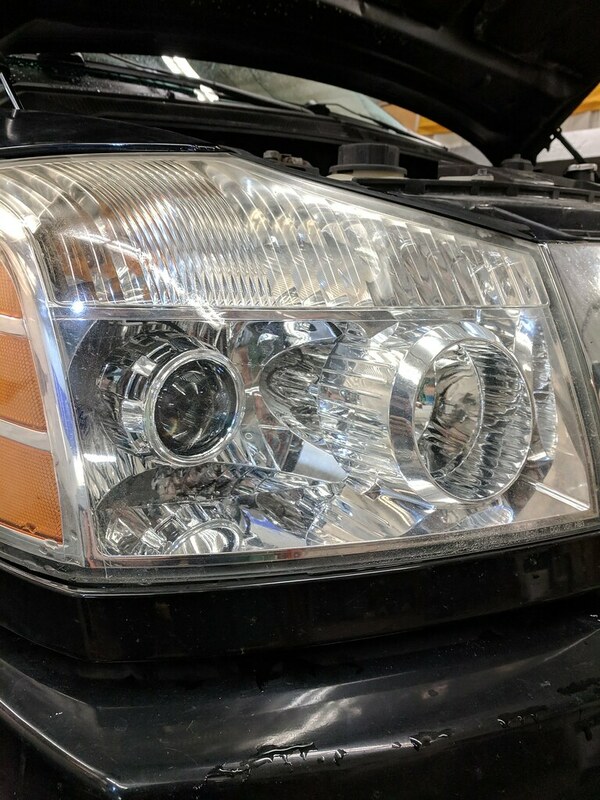 stay away from anything LED for these type of headlights. HID is far superior. all that being said, i've done the bixenon retrofit into e30/e34 headlights 5 times now, and its worth the effort. Forgive me in advance these might be some stupid questions. So quickly googling the items you outlined in the build it looks like ~$500 dollar project is that close? Your build used the Depo Euro smoked headlights does that mean you bought the kit at ecstunning (or another vendor) and gutted it to use the housing and lenses? I'm guessing if a morimoto bulb burnt out you have to go through ripping all that aluminum tape off to replace it? You mentioned adaptor plates in your repose would those be to use my stock housing (not buying a new Depo one) or to avoid cutting the Depo housing? And any chance you have a complete parts & vender list you'd share? $200 for depo headlights (ebay) and yes, 'gutted' the new lights. (merely removing the projector from the low beam housing and putting the retrofit in its place.) you can do this retrofit to any projector style e30 lights, so if you have some already there is no need to buy new ones. I wanted smoked lights, though. yes, you have to rip the tape off the rear to replace the bulb.its really easy, and i've only had to replace 1 HID bulb in about 7 years of owning cars with HID retrofits. Thanks! I'm gonna take the plunge and start gathering parts to do this. also, e30s have no horizontal leveling in the system other than tilting the whole headlight assembly so you have to get the levelness of the cutoff nearly perfect as well. test and double check your alignments in stages so you don't have to back-pedal a ton. Just got back from a trip to get parts managed to snag a set of US Hella Ellipsoids. Is it possible to use these for the bi xenon conversion? Blasphemous to do so? Should I sell them and use profit to fund the conversion with above mentioned parts? Not attached to these at all, just got a great price and figured to use them or sell to fund as bi xenon performance is what I’m after. no reason they shouldn't work. i would attempt to add back the desiccant vent thats on the back of the original projector bowls, though. its a little while valve looking thing with the black rubber sleeve. it allows moisture that gets into the headlight to escape. on e30 headlights, the original sealing/venting system is disrupted with a retrofit, so you'll always have some moisture that finds its way into the headlights, so it needs a way to get out. Slightly off topic, but I'm contemplating playing with headlights more so than I have before. 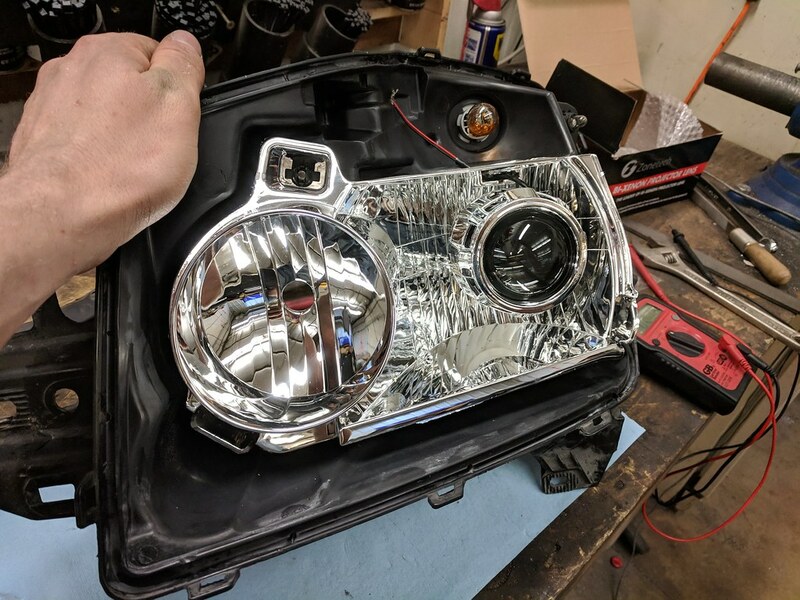 I took on my first headlight project a few weeks ago and was greatly pleased by the results, and I had a fair bit of fun while working on it. 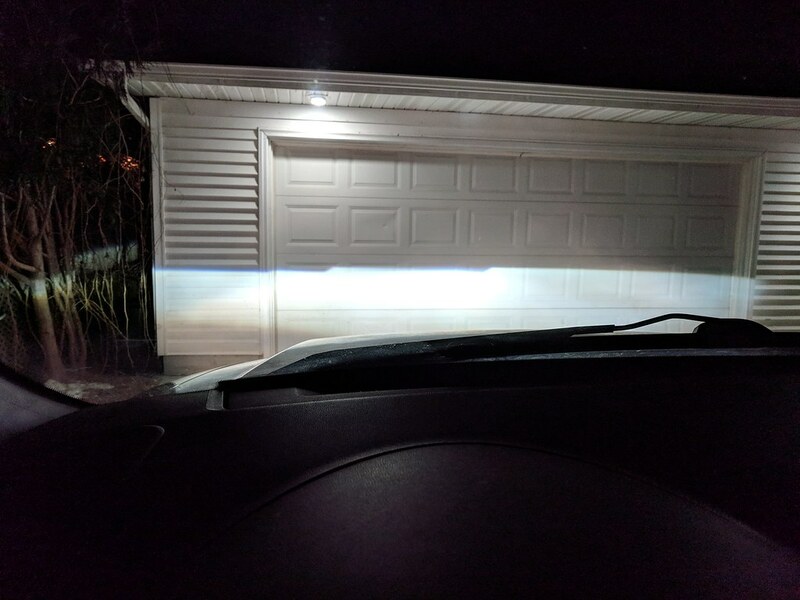 The headlights in my truck have always been just okay, and as many of you likely know, I don't have great eyes so I typically chase down the best lights I can get. Nissan never provided these trucks with projectors so I decided to crack my set open and make some things happen. Armed with an inexpensive set of Mini H1 Bi-Xenon projectors and an oven I got to work. Baking headlights has always scared me, but after doing it I would comfortably do it 100 times more. Trimming some bits allowed me to slip the projector through the existing bulb hole, and I routed the shutter wires up through a grommet type tape that was sealing a hole. After putting the projector in you need to make sure you've got everything level, as those cutoffs are going to be hell to rotate once you get the lens back on. Back in the truck they went, with a halogen bulb for testing purpose. Level out the cutoffs and the mark everything well so you know where you need to align it in case it spins again. Buy things from TheRetrofitSource, they blow DDM kits out of the water. 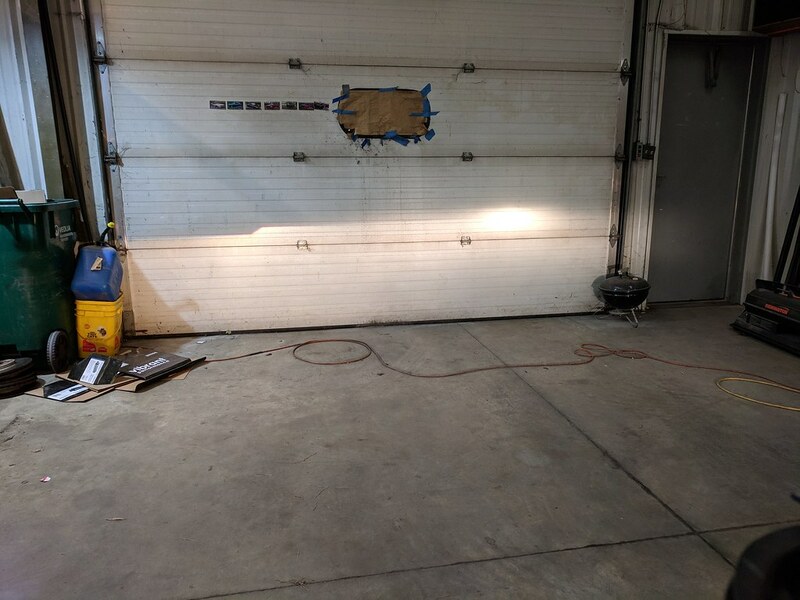 I should crack open some E30 headlights and play. Bi-xenon's are sweet, this thing absolutely pours light out of the front with the highs on. nice! glad to see others benefit from proper lighting. your pictures arent working, though, and i really want to see them! Pictures are working on my computer and on my phone, not sure what could be going on with your end. I'm guessing they are hosted on google photos? 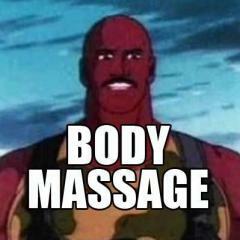 It seems that hotlinking images is not allowed, you'll have to upload them on here. The garbled text is the image ALT tag, but I tried copying the URL you used and I just get a ⛔ as the replacement still. The Google Photos thing makes sense, I guess I thought It was just copying the image and hosting it here but I now realize that didn't make sense. Switched em over to flikr links, should work now. nice work! looks like you went with the 3800k? I love the near halogen color, and they are brighter than the whiter colored bulbs. These look great. any pics of what they looked like on the back of the headlight housing? Thanks! Those were the halogen bulbs I used for testing before committing to buying xenons. I went 5800k per my usual. I don't have any pictures of the backs, it honestly looks the same as stock though. I forgot to add the pictures with new bulbs in, so I threw those up in the original post.